This outstanding collection of 610 hymns and songs includes the most popular traditional hymns, the enormous outpouring of worship songs of the last 25 years and much new material destined to become tomorrow's favourites. 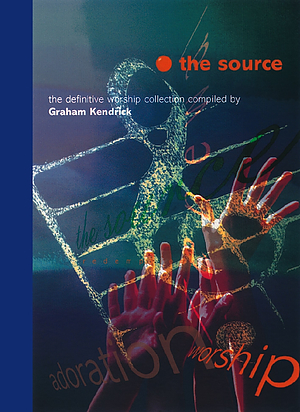 The range of material confirms the generosity, breadth, depth and height ('songs which lift us out of ourselves and fill our vision with the attributes of God') of Graham Kendrick's editorial stewardship. The books are beautifully and clearly produced and besides the normal indexes there is a substantial Key Word index to make it as easy as possible to find songs and hymns suit­able for various themes and occasions. the source includes 610 hymns and songs. The Source : Full Music Edition by Graham Kendrick was published by Kevin Mayhew in February 2007 and is our 13204th best seller. The ISBN for The Source : Full Music Edition is 9781840031201. Be the first to review The Source : Full Music Edition! Got a question? No problem! Just click here to ask us about The Source : Full Music Edition. A:My apologies for the great delay. I am afraid we do not stock this particular item. Thank you, however, for using the Q&A Forum. I bought the 'Full Music Edition of The Source', but it only goes up to 610, I need songs numbers 611 - 1099, which I believe is Vol 2, but cannot find it anywhere for sale, can you help please? A:I am afraid that Vol:2 of The Source is out of print. There may be pre-owned (or lingering) copies to be found elsewhere, but we have none left. So sorry for the bad news, and best of luck finding the book. Thank you for using the Q&A Forum. I would like to know if the full edition of the source is suitable for the flute or do I need to buy a different copy? Does The Source Vol. 1 (Full Music Edition) come with CD-ROM of words? A:No, Volume 1 does not feature a CD-ROM; this disc is only included with Volumes 3 and 4 of the series. What songs are in this book? Does this full music edition contain music for the clarinet? Or is there a separate version? Is Graham Kendrick's song 'Thorns in the Straw' included? A:No, unfortunately Thorns in the Straw is not included in this collection. Please could you tell me if Blessed be the name of the Lord by Colin Utterbach (copyright Universal - Polygram International Publishing Inc) is included in The Source? A:Yes, this edition of The Source (9781840031201) does indeed include the hymn 'Blessed Be The Name Of The Lord'. Does the CD rom with some of The Source books only have the words included on the CD or does it have the music of each song played on it so that I could listen to the melodies. A:'The Source' CD-ROM discs do not contain any audio content; they include 'words only' images designed for printing or overhead projection purposes. Is software available for The Source : Full Music Edition? A:Software is not currently available for the Source : Full Music Edition. Are The Source music books available in large print? A:We don't have them in large print - sorry.